Why are some families debt-free and others chronically debt-ridden, even when they have nearly the same amount of income and expenses? Are there universal qualities that keep some of us on the financial straight and narrow, while others crash and burn? 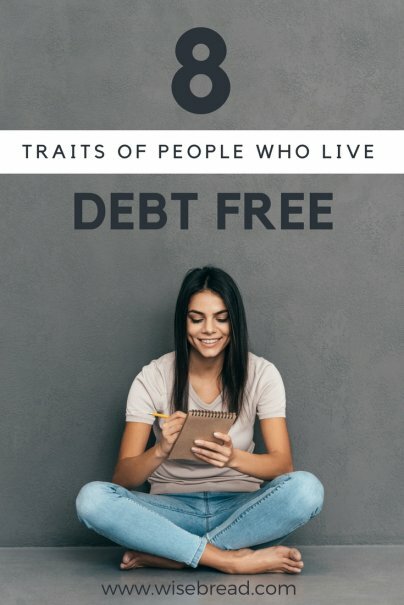 After years of introspection and observation, I think there are certain traits all debt-free folks have in common. Here are the key characteristics of a successful debt-free lifestyle. Sophisticated advertising, easy credit, and countless consumer baubles — it's a dangerous mix. Those who've conquered debt have developed a strong filter and a clear understanding that buying isn't the same as being. Before any purchase, we're able to ask ourselves (and truthfully answer) three crucial questions: "Do I really want it or need it?" "Will this simplify my life or make it more complicated?" and, "Am I buying this from a position of strength or weakness?" Not all sacrifices have to hurt. For those who live debt-free, strategic sacrifices feed a greater good. We gladly skip a few meals out, buy used cars instead of new, and try to make our old brick cellphones last as long as possible. Why? So we can enjoy the luxury of living debt-free.